"We have proudly placed Repeat Signage logo on our website advertising as it is the IS USBC BA's software of choice for scrolling info at our tournaments"
The Repeat Software team gives you outstanding level of support with free training videos and we have satisfied customers in 31 countries. "Repeat Signage is the Indiana State's USBC BA’s software of choice and use for presenting and scrolling information at our events"
The IS USBC BA is a non-profit member organization operating under the umbrella of the national governing body USBC, supporting the sport of bowling (American Tenpins). The purpose of the association is to operate exclusively for charitable and educational purposes, including fostering national amateur sports competitions. 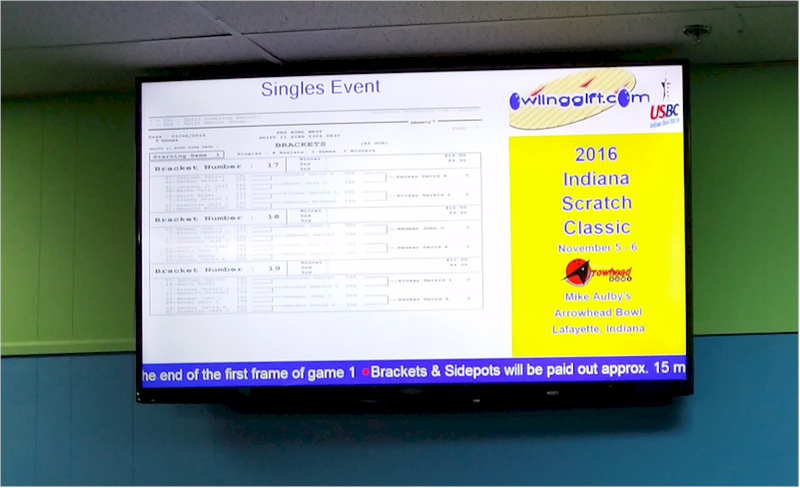 They have been using Repeat Signage digital signage software since September 2015 and since then have had many changes for bowling in Indiana over the past year. 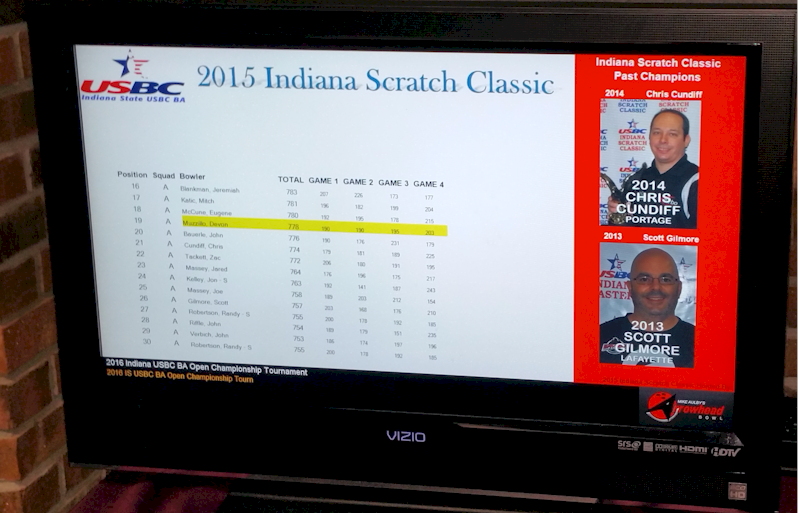 “The Indiana State USBC Bowling Association has been extremely pleased with the Repeat Signage Software. We continue to look for ways to incorporate Repeat Signage software into our events. 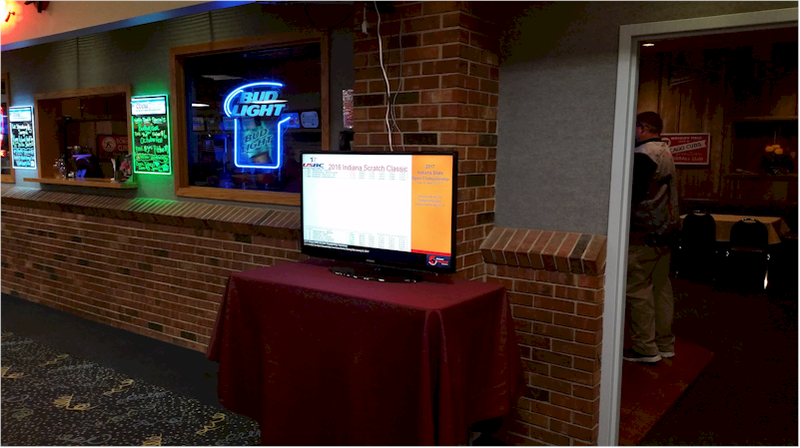 "The initial focus of our digital signage was to display information such as tournament standings, brackets and side pot results, advertising of future events and overall general informative information to the bowlers at our events in an easy, accurate, timely and professional looking manner. Repeat Signage has exceeded all those goals." "As they attend tournaments and other events, staff can display their Repeat Signage presentations on desktop monitors, large format displays or touch screens. Utilizing the page-turning PDF feature to showcase sample Brackets and Tournament Standings, and the Rotator feature that allows pictures to be scrolled across the screen like on a conveyor belt, this gives potential customers an opportunity to view information for themselves, especially useful when staff are busy talking to other customers. This also embraces the company's use of digital and mobile opportunities". "Our IS USBC bowling team has accomplished many projects"
"We formed a technology team two years ago consisting of seven team members. This team has accomplished many projects including integrating Repeat Signage software into our tournaments which has exceeded our expectations in meeting a need to share real time information with our bowlers. The feedback we have gotten on the signage has been extremely positive from our bowlers!" "I appreciate the prompt support! Excellent service, especially on a weekend! World Class Support!" "Why did we choose Repeat Signage?" "Before purchasing Repeat Signage software, we looked at several other signage programs. We found Repeat Signage easy to use interface and specifically the ability to use Microsoft Word, Excel, PowerPoint and PDF files to be very effective in meeting our needs over other signage packages". "Friendly and amazing quick response for support"
"We were extremely pleased with the friendly and amazing quick response from Repeat Signage’s support on the very first weekend we looked at the software and downloaded the demo. It was extremely easy to download and install the software package and Repeat Signage is very intuitive and easy to use. Within a short time we had a sample presentation running to show our team the capabilities of the software". "Excellent service - especially on a weekend!" "An email was sent to Repeat Signage support on a Sunday morning at 2.30am and within two hours we had a response to our questions. They helped us to better understand the scrolling function and the best setting for what we were trying to do. This helped us fully to test Repeat Signage software and be very confident it was going to fully meet our needs before purchasing. 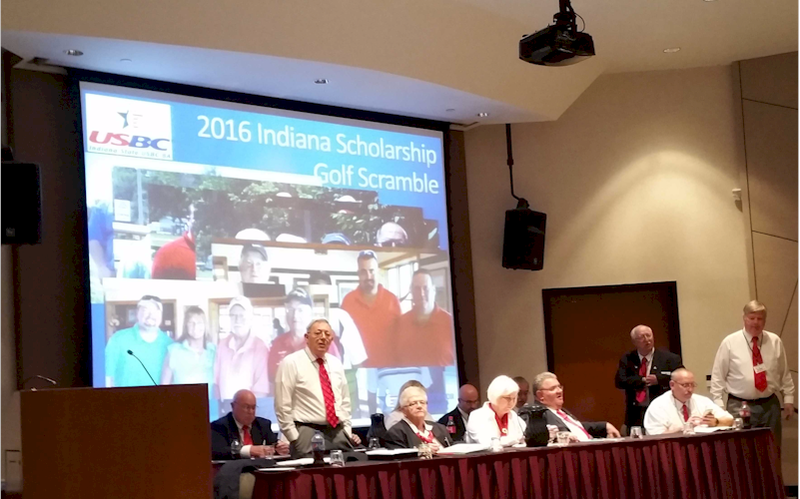 This was a tremendous benefit to us being a non-profit organization. The IS USBC purchased 5 Repeat Signage Standard licences". "We feel like a valued partner and not just a number in a customer list. We have been extremely pleased working with Repeat Signage – customer service is second to none"
"It's like you're a home town business down the street"
"The world class support continued even after we purchased the software. We had very detailed responses including screenshots where we needed to help us understand. It is always amazing to us that Repeat Signage’s team take so much interest in our needs and satisfaction. We feel like a valued partner and not just a number in a customer list. We have been extremely pleased working with Repeat Signage – customer service is second to none". 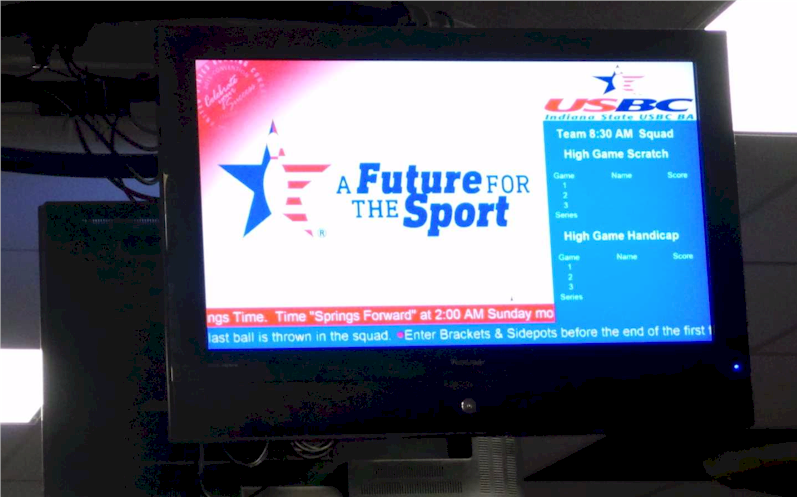 "Repeat Signage updates our TV signage real-time"
"The main use of Repeat Signage is at our Annual Championship Tournament running 10 weekends from February to May in two different bowling centers. We have networked the two bowling centres together. Laptop PC’s run Repeat Signage at each center. HDMI splitters and HDMI over Ethernet adapters are used to split the presentation signal for viewing on several TV’s within the center and allows us to place laptops in a back office out of sight of the bowlers". "This is beneficial from a professional look and security standpoint. The data files, mainly Excel and PDF, are on a network attached storage device at each center that allows several different people working different functions of the tournament to update files. Repeat Signage automatically recognizes updated information and updates the TVs real time". "We can update presentation material remotely"
"Having remote access to the network attached storage device allows us to update presentation data remotely. Repeat Signage’s flexibility in reading the different file formats is key allowing us to get the information out to the bowlers quickly and accurately. Repeat Signage’s feature of placing multiple and different controls on the screen allows us to advertise upcoming events, share current tournament standings, scroll the brackets and side pot winners and share any important information all in a very professional looking manner on multiple TV’s throughout the bowling center". "Again, the team at Repeat Software are great people to work with. They are very responsive and have a genuine interest in your satisfaction". 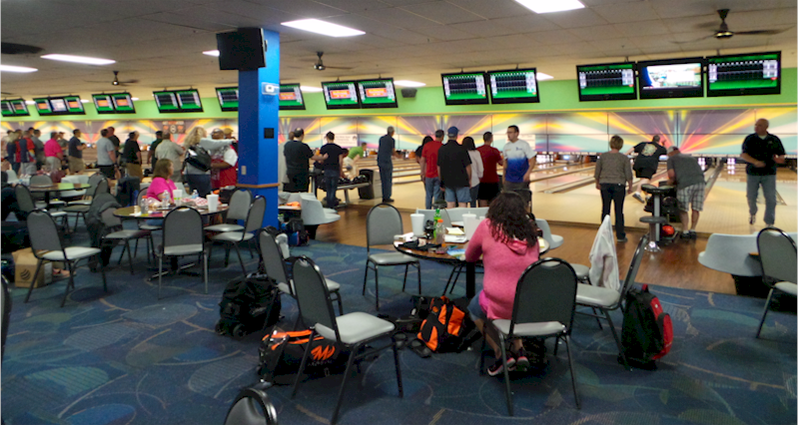 "Repeat Signage software gives our bowlers an opportunity to see family and friends and other bowlers having fun at our events and to share, celebrate and visually show the fun had by everyone." "Our bowlers can see their family having fun!" 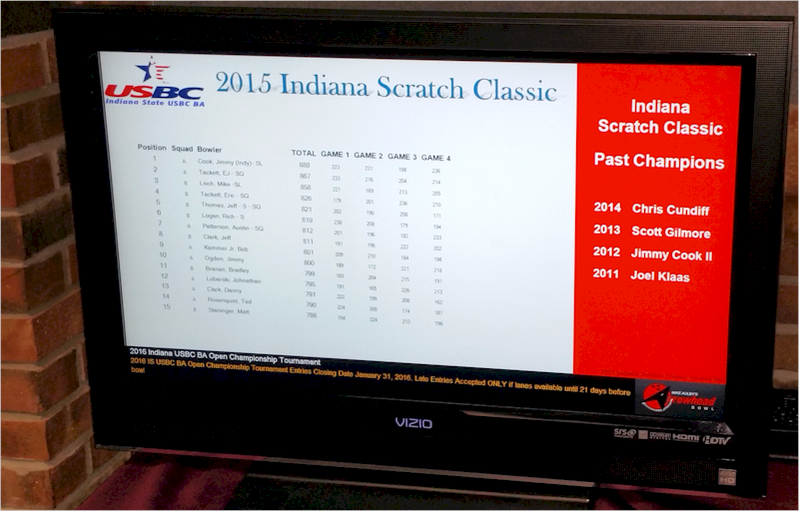 "Repeat Signage is also used during our Indiana Masters tournament and Indiana Scratch Classic tournament showing similar content as the Annual Open Championship. Since we have such good feedback we have incorporated digital signage at our Annual Meeting and Jamboree weekends depicting pictures of the events throughout the year. This gives our bowlers an opportunity to see family and friends and other bowlers having fun at our events and to share, celebrate and visually show the fun had by everyone". "We proudly placed Repeat Signage logo on our website"
1. Repeat Signage gives us a very professional looking and technology advanced image to our events for our bowlers. 2. Environmentally friendly. The process before was to print paper copies of everything and tape to the walls. We would literally go through a couple of reams of paper a day and 4 to 5 boxes of paper each Open Championship tournament. We would use 4 to 5 toners for our printers plus wear and tear. 3. Cost effective. Potential to realize some cost savings with the reduced use of paper and toner. "IS USBC highly recommends Repeat Signage"
We have proudly placed Repeat Signage logo on our website advertising as it is the IS USBC BA’s software of choice and use for presenting and scrolling information at our events". 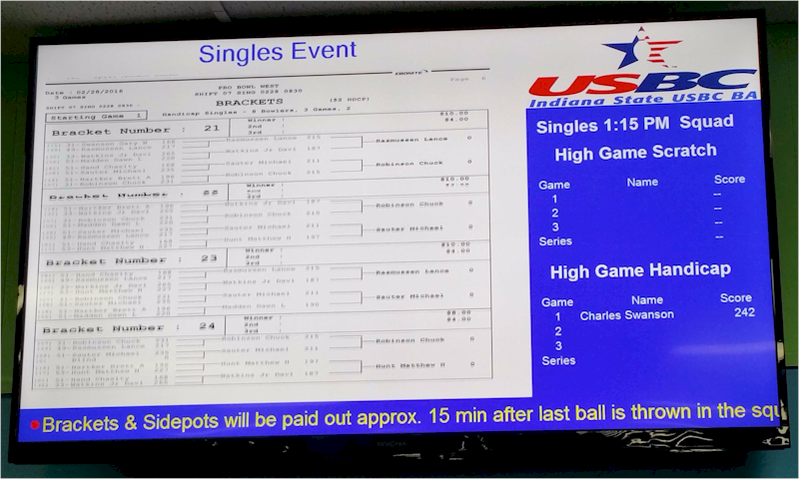 IS USBC video displaying the tournament information scrolling on the screen. Repeat Signage is professional, easy-to-use, professional, digital signage software, in daily use in a wide range of applications and market sectors in over 30 countries. Repeat Signage is a one-off licence fee for each computer playing presentations to one display screen. You can update content locally or remotely with no on-going costs.